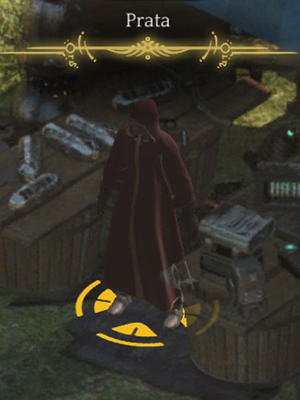 Prata is a Merchant in Torment: Tides of Numenera. She appears in Circus Minor. Prata is merchant in Circus Minor, she can give Last Castoff clues about quest：Fallen to Earth. Asking Prata about fixing a complicated device grants 2 XP, give Prata the shard you found at Broken Dome grants another 2 XP. Incorrect - these XP interactions apply to the conversation with El-Jinto, not Prata. Prata will grant a discount if asked. Prata appears in Circus Minor.